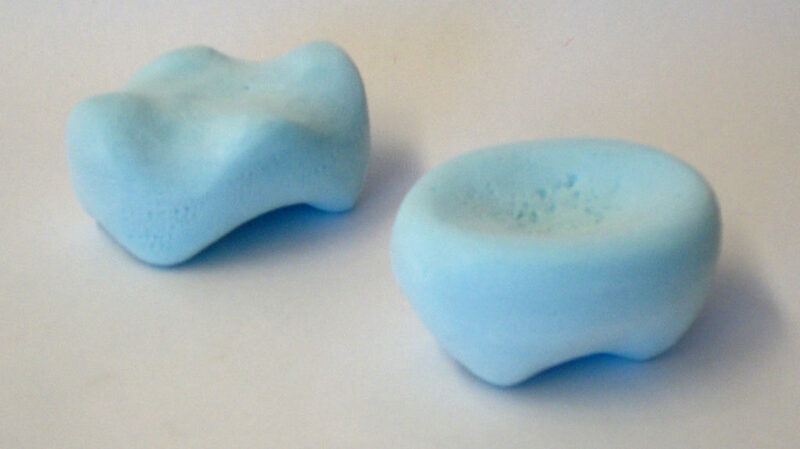 A prototype travel soap case for a Dove brand soap bar. The halves of the case were vacuum formed to friction fit. 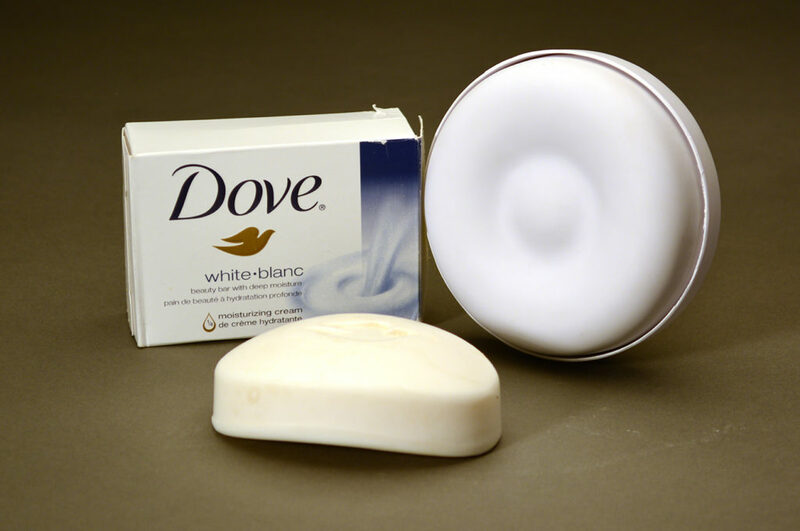 The design itself is meant to prevent soap scum build-up and relate to the branding of the Dove franchise. Oh, and I made it all by hand with no digital intervention. This soap case was made with only a bandsaw, handmade tools, and sandpaper. Really. No 3D printing or CNC routing this time. 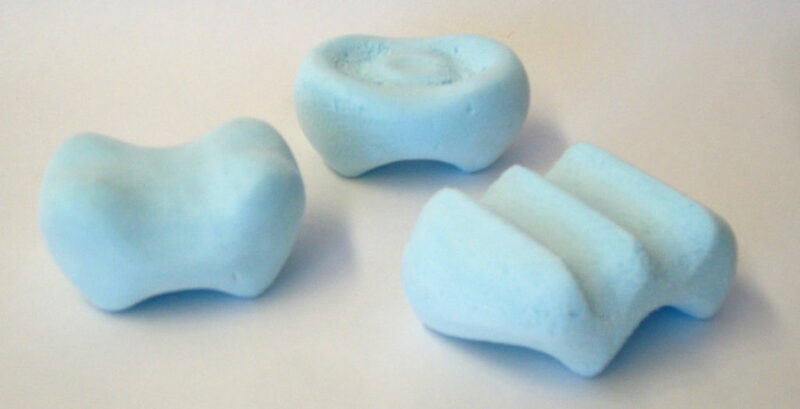 First, I carved the form studies out of blue extruded polystyrene. Then I cut the bucks for vacuum forming bandsaw and sanded them with the tools I made (pictured behind the bucks). Sheets of polystyrene were then vacuum formed over the bucks to create the final cases. The friction fit was especially difficult to achieve because of the inherent draft angle when vacuum forming and because of the material’s change in thickness when formed. The final iteration has a hard line to aid the fitting, for I found that when the top was completely rounded, there was nothing for the bottom to stop against when closing. This meant that the top and bottom would just warp endlessly without getting to a point where they would stay closed. For brand identity, I tried to keep the shape simple, with a ripple on the bottom similar to the one on the box (this same ripple detail is what prevents soap scum by lifting the soap off of the bottom). Once I added the edge to aid the fit, the case looked even more like the soap bar.